Lunar and solar eclipses involve three heavenly bodies. Undoubtedly, you have already figured them out. These are sun, moon and our dear planet. The eclipse may be complete, partial and circular. The complete one is that one, which fully blocks the sun. The partial is the occasion of blocking some areas of the sun. The annular is the furthest dislocation of the moon. It cannot fully cover the sun and there can be observed a thing ring of light, which is outside the moon. These two eclipses are opposite too one another. While a lunar eclipse reigns at night, a solar one takes place in the course of the day. 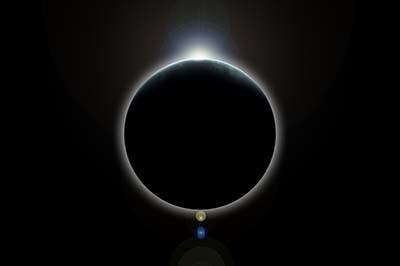 These eclipses can take place only at definite time periods. A lunar happens in the direct opposition of the moon and sun, it is also known as a full moon. Nevertheless, do not think that a lunar eclipse takes place as regularly as the full moon. It is present every month, but there is not a precise line. There is a difference in 5 degrees and more of the moon’s orbit and the orbit of our planet. Under other conditions, we might have had an opportunity for seeing the lunar eclipse every month. In comparison to solar eclipses, the lunar ones take place more frequently. It deals with approximation. It is a well-known fact that our planet is much closer to the Moon. The capability of seeing the lunar eclipse is greater as it covers bigger area. The solar eclipses happen rarely and they can be observed on smaller area. In addition, this phenomenon lasts for a brief period of time. You have to remember that you should avoid observing the solar eclipses with the unprotected eyes, while this may severely harm your eyesight. 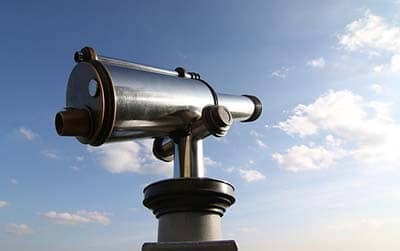 It is recommended observing this event through the glass of a telescope. The lunar one is quite safe for our eyes and we do not require any kinds of eye protection. 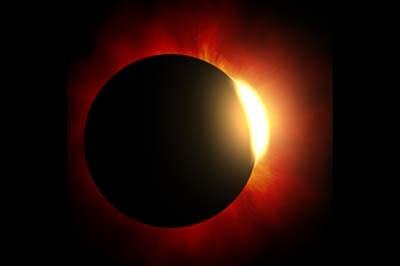 Though the frequency of the occurrence of solar eclipses is small, their effects are greater than those of the lunar ones. Scholars think that such difference happens due to the essentiality of the sun, which helps to live each living creature or plant on the planet. People of the ancient China believed that it was the dragon, which was going to come and eat the sun. It involves many matters and has significant influence upon all happenings in our life. That’s why, this eclipse is so interesting for the science. 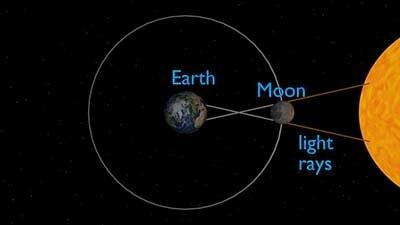 The eclipses are divided into three types: total, partial or annual ones. What is the difference between solar and lunar eclipse? Although you do not need any special equipment for viewing a lunar eclipse, it is recommended by experienced photographers and astronomers that having some equipment make your experience of the lunar eclipse much better. 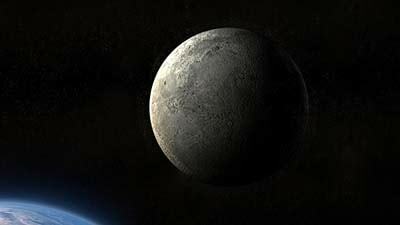 Earthshine is a dim glow which lights up the part of the Moon without light because of the reflection of the Sun's light off the surface of the Earth and back onto the Moon.